Hello everyone there will no day pass by not listening to music. If it is the radio, youtube, spotify or anything else i just love music. Next to that i have now 2 girls who are following dance classes and they both love it. 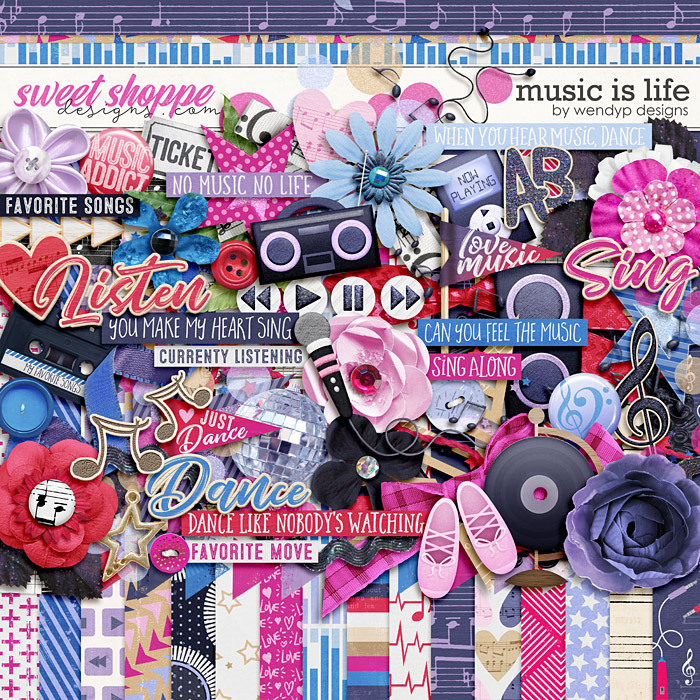 Music is Life, is a celebration of the way music can enrich and shape our lives. 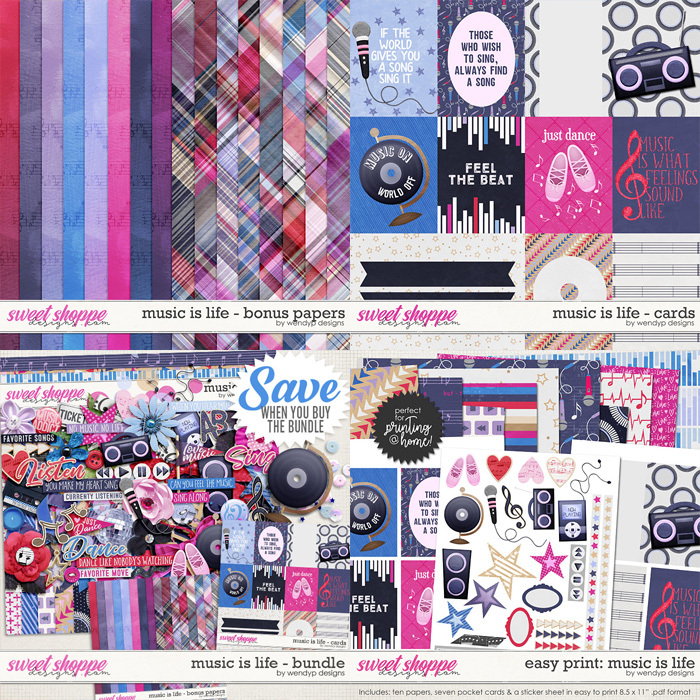 Whether you love to sing along to the radio in the car, perform in front of a crowd or just dance to the beat of your own drummer, you will create soundsational layouts with this fun collection of musical goodness.